As digital prowess moves closer to becoming a mandatory skill, Marketing and Econsultancy look at the factors hampering its growth. 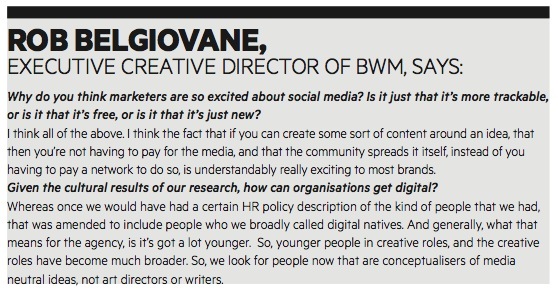 This feature was first published in the April 2012 issue of Marketing magazine. Subscriptions are available in print and digitally via Zinio. 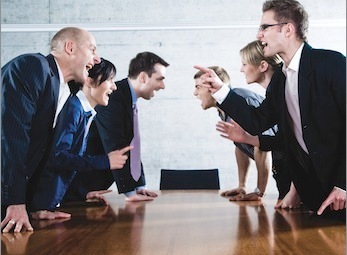 Digital is a polarising word to marketers, creating both ardent fans and questioning disbelievers. While many excel at its use, it is a technique that others grapple with, seduced by the promise of consumer engagement and cost efficiencies, but uncertain of how to manage its traps and pitfalls. Many a company, as Qantas and McDonald’s can attest, has been burnt by ill-conceived forays into the digital world. Its use may be booming, but it plays by different rules, is unpredictable, hard for some to understand and difficult to execute. These factors play on the mind of its sceptics, who more often than not sit in a seat of power, creating a situation where its value is acknowledged, but its progress impeded. To understand the state of our digital marketing industry, Marketing, in association with community-based publisher Econsultancy, launched the inaugural ‘State of Digital Marketing in Australia’ study. The research, conducted among more than 500 client-side and supply-side marketers in November and December last year, captured a picture of the industry’s grasp on digital and the factors shaping its development. The findings show that the practice of digital marketing in Australia is healthy, with nearly onethird of the average marketing budget attributed to online disciplines in 2011. In 2012, this is expected to increase by an average of 26%, an increase that is expected almost universally – nearly three-quarters of client-side and four in five supply-side marketers anticipate a rise. Relative to anticipated offline spend, digital marketing is set to become even healthier in the year ahead, with the share of budgets shifting towards online. Looking at the repertoire of techniques being applied, the more established disciplines of email marketing and search engine optimisation (SEO) are the most commonly employed, used by 87% and 81% of marketers respectively. 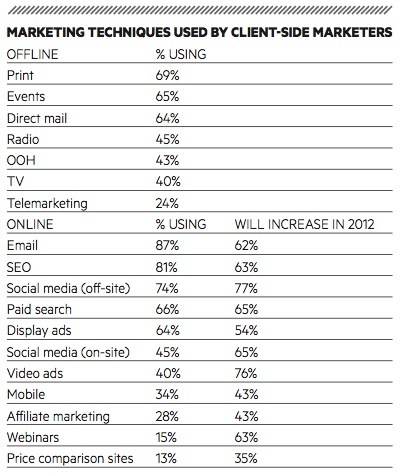 These are expected to be complemented by a heightened focus on emerging channels in 2012, particularly social media and online video. 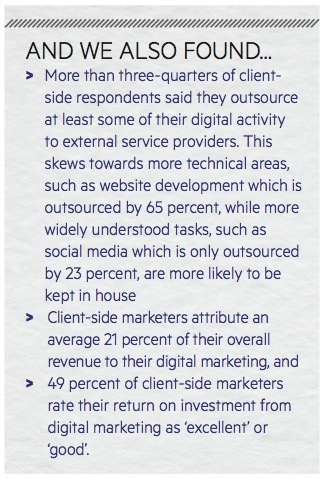 Three-quarters of client-side marketers plan to spend more on these techniques, indicating a growing sophistication across the industry. But while the practice of digital appears headed in a positive direction, its development is hampered by a number of road blocks. Company culture, insufficient budget and skills to implement initiatives, and a lack of belief in digital uptake and support from senior management all factor as barriers to digital prowess. On the issue of barriers to digital marketing, the opinions of client-side and supply-side marketers differ. The most widely cited barrier to increased investment for client-side marketers was restricted budget, while for supply-side marketers company culture (of their clients) ranked as the greatest barrier. While its saliency felt greater on the supply side, however, the perception that internal cultures remain resistant to online channels factored on the client side also – one in three nominated it as a significant barrier, compared to one in two on the supply side. As Jennifer Frahm, founder of the consultancy Conversations of Change, comments, the culture of an organisation dictates what it values, whether that be elements such as innovation, responsiveness or customer-centricity, which in turn permits the use of strategies such as online techniques. Such is the story for digital marketing. The impediments to budget, support, belief, development and education all stem from cultures that are reticent to change. It appears that the perception of digital as the young upstart still to prove itself, in the face of tried and tested techniques, still pervades our marketing landscape. The symptoms of this cultural obstruction are clear. Client-side marketers say budget is lacking – 36% rated this as a barrier, making it the most commonly cited hurdle for them to overcome. They believe their company’s lack of understanding of digital is telling, with 34% rating it a significant barrier. They say there is a lack of staff to make the most of digital investments – 34% concur with this assertion. All these are symptoms of cultures not supportive of digital’s development. While Frahm believes one of the reasons is “a lot of them are playing chicken with retirement”, she also cites the perceived effort required to get their heads around digital and the legacy of past success as plausible explanations. “We’re not talking incremental shifts, we’re talking about massive mind shifts from command and control to connection and community. To do that requires senior managers to invest a lot of time and let go of a lot of what they know. 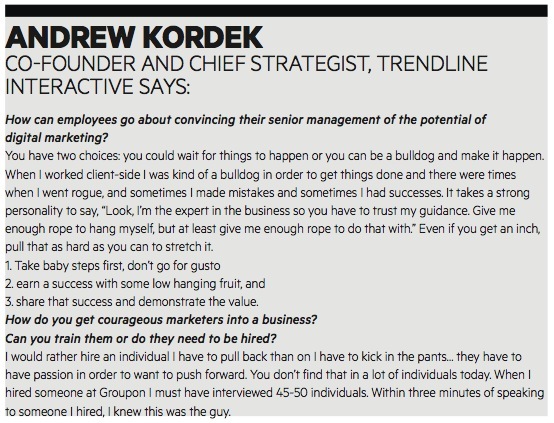 “Senior managers have gotten where they are because they’ve been successful. Historically, their success has been a result of other forms of marketing, and you’re telling them that that success is now irrelevant and they need to get up to speed with this other form of marketing,” concludes Frahm. With marketers preparing to increase their commitment to online methods, digital marketing appears to have reached a tipping point. But there are still factors holding back its progress. The cycle of insufficient support, budget, training and skills continues to plague the industry, stemming from cultures that are reticent to change. In the end, this cycle may prove more damaging than its instigators realise, as poor investment and missed opportunities see some businesses miss out on success where others enjoy it. The evolution of the digital economy in more advanced markets has shown that a lack of investment now will almost certainly lead to greater expense and challenges in the future. While the sceptics ponder the importance of digital, their competition may be pulling ahead as they tackle the challenges of understanding, skill and resources required to progress their digital agendas, and their brand’s success.